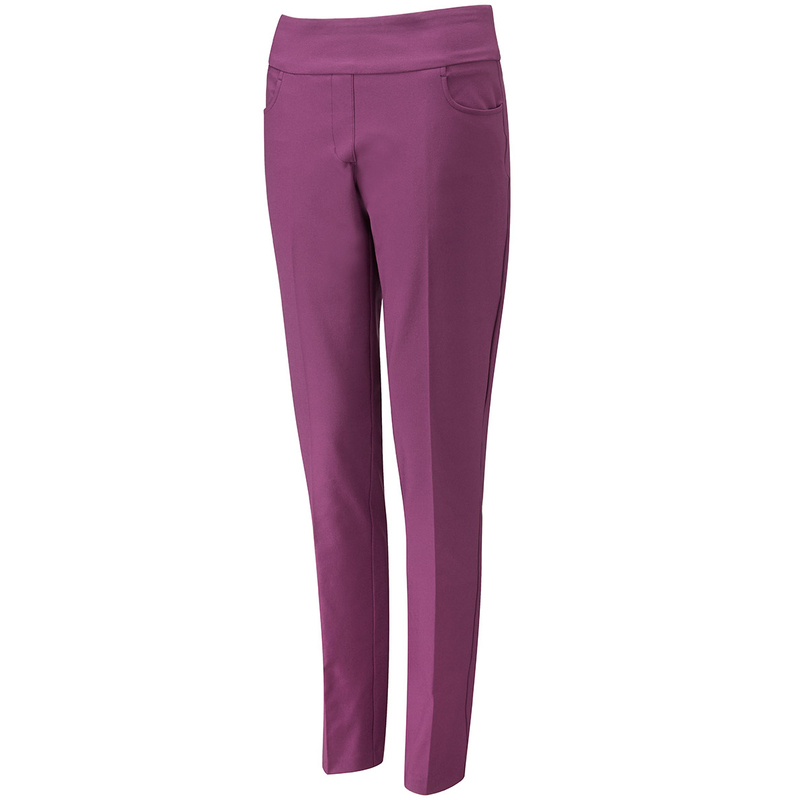 Play and look your best on the golf course, with these beautiful slim fitting stretch trousers. The trousers have a pull on design for added convenience, and have stretch for better shape retention, and a more comfortable fitting. 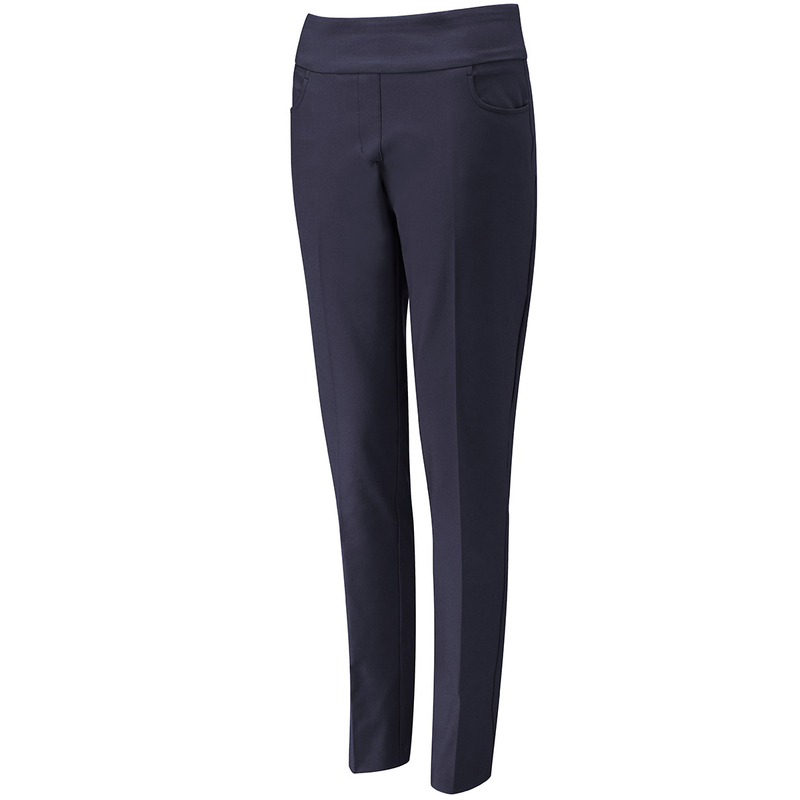 The trousers have a pressed crease to the front, are crease resistant, and have moisture moving properties for even less distraction as you play golf. Other features include 2 rear pockets, front shaped pockets, and has a handy tee pocket along the waistband.